The CACV now has 3 operating Alco S series switchers, all powered by a turbocharged 539. 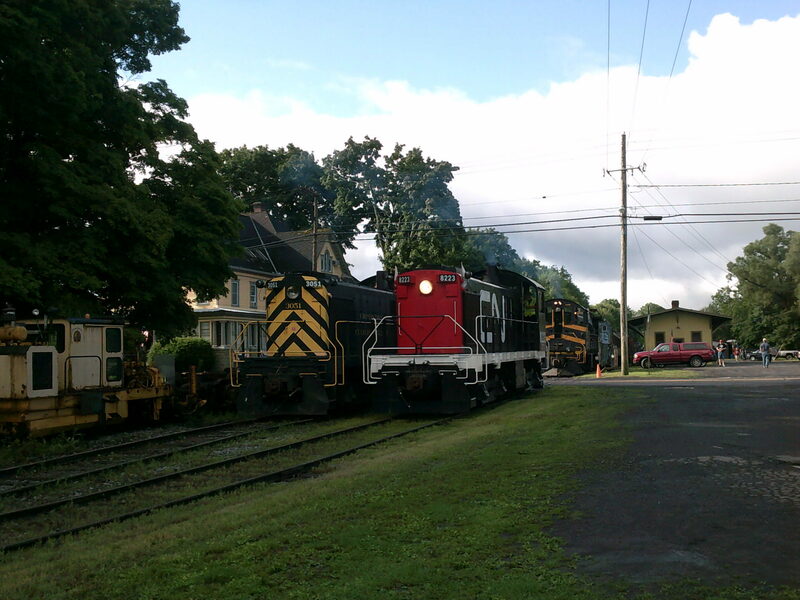 There are 2 S-4's, #3051 and #102, eventually to be renumbered 3050 and 1 S-7, the lone remaining one, CN unit #8223. The CACV has hopes of having 4 Alco's next year, former Claremont and Concord #104, formerly D&H #3036 has yet to see her turn in the shop for servicing.